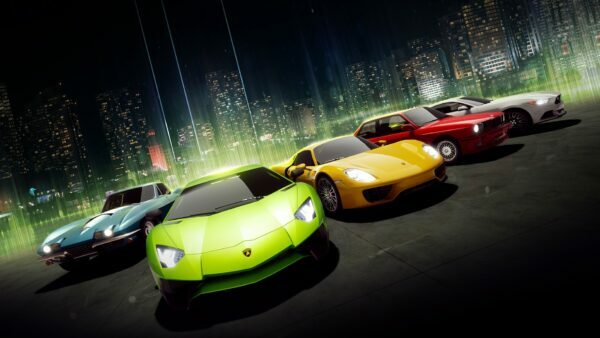 Here's the Finalized Mad Box Console Design — But What's Project CARS Revolution? 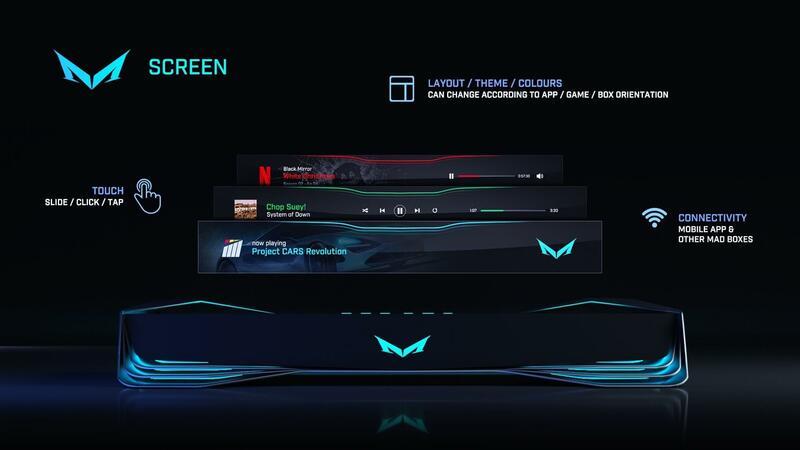 Here’s the Finalized Mad Box Console Design — But What’s Project CARS Revolution? 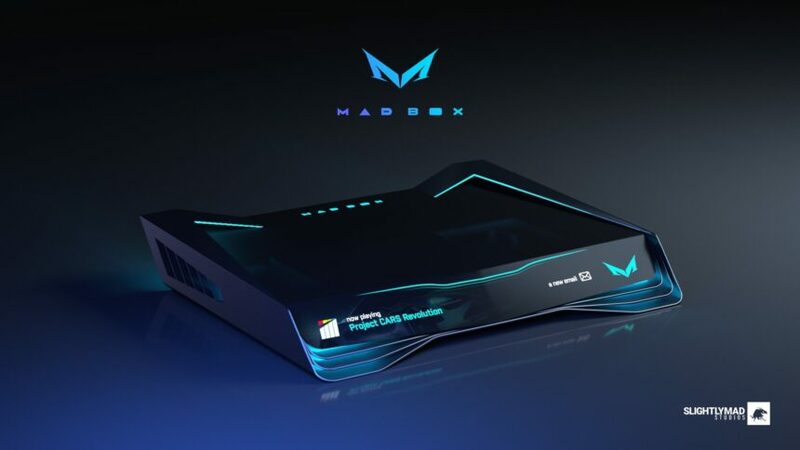 After a flurry of concepts from Slightly Mad Studios, it looks like the team has settled on the final design for its upcoming console, the Mad Box. 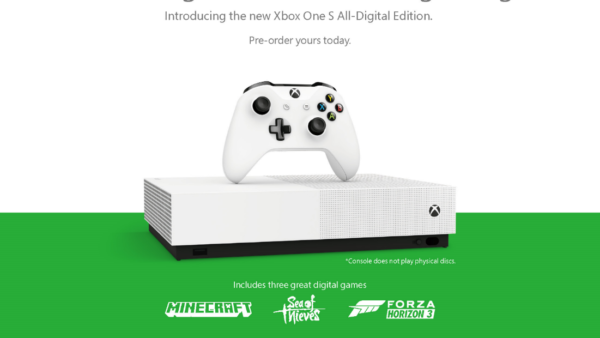 The console, which studio head Ian Bell promises will be the “most powerful console ever built”, has had quite a fast-paced story unfold. 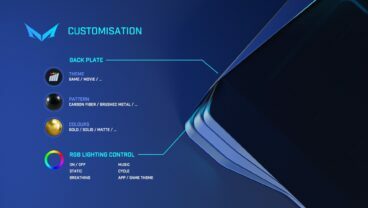 In less than two weeks, we’ve gone from the original, surprise announcement, through a peek at a mockup, and word SMS would be creating its own game development platform for it. This iteration of the Mad Box fits much more in line with the sleek, minimalist look of modern gaming consoles. Much like Sony’s PlayStations, it’s also designed to sit either horizontally or vertically — SMS has even thrown in the option of a wall mount. 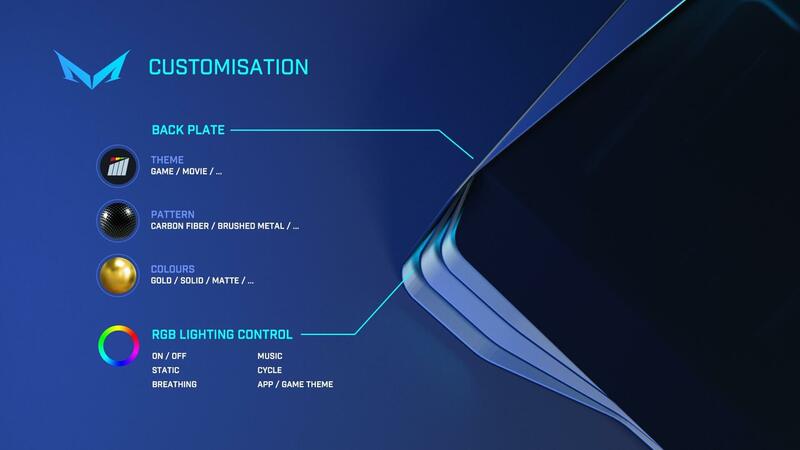 User-customizable lighting elements dot the exterior. According to the image, Mad Box owners will be able to choose from a variety of themes for them, based on music, games, or other options. 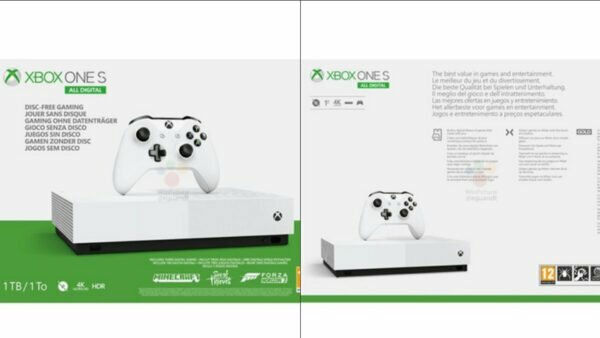 The back plate will also be customizable. The biggest departure from current systems however is the graphic display unit on the front of the Mad Box. 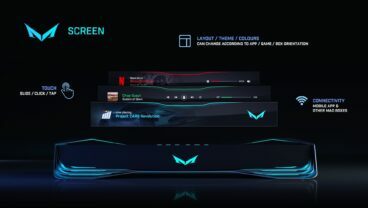 This would show the game — or music, or movie — the user is currently playing. What’s more, it would be a touch screen, allowing them to slide, click, and tap their way through relevant media. In an additional nod to the modern connected world, it can also display when a user receives an email. No word on whether that’d extend to other networks, such as social media. What this mockup doesn’t make clear is size. 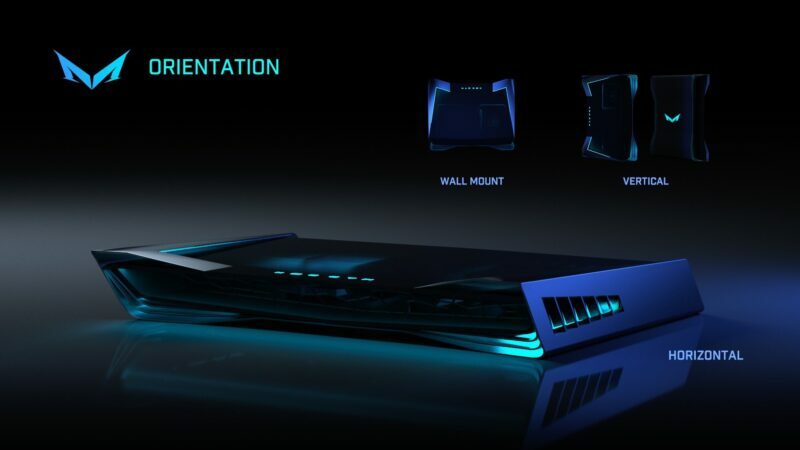 It looks impressively lithe, with more vents than some race cars, but for the power SMS is targeting (full 4K plus support for VR), there’s going to be some serious cooling needs. The Xbox One X — the most powerful console currently on market — is slightly smaller than its PS4 Pro competition, but features a special vapor chamber to deal with the significant heat the internals create. 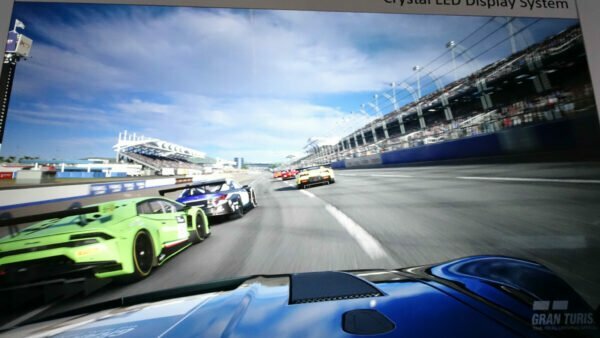 You may have noticed the mockup shows a new Project CARS title in play. We’re just as surprised as you are. 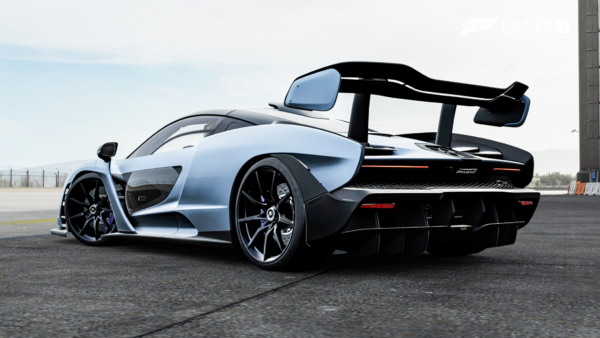 It could be a hint at a move away from numbered iterations for what would otherwise be known as the recently-confirmed Project CARS 3. 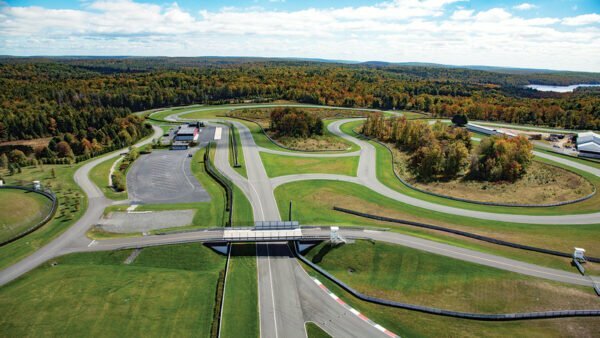 It wouldn’t be the first time we’ve seen it in the genre: just look at Gran Turismo Sport or Assetto Corsa Competizione. 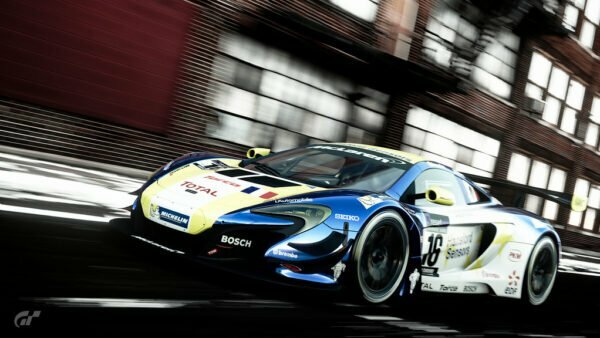 Besides, the team already has mobile title Project CARS Go as well as the business-to-business Project CARS Pro. SMS is still targeting 2022 for the Mad Box launch. Given the pace of news on the console so far here in 2019, we’re sure we’ll get more details on it shortly. Watch this space!